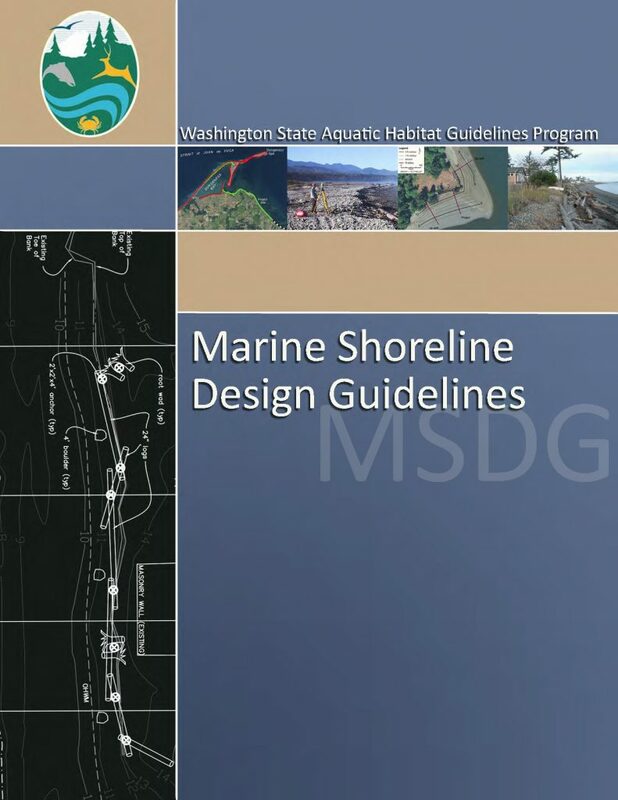 Marine Shoreline Design Guidelines – Experts in Puget Sound coastal processes, management, and cost-effective design since 1993. The Marine Shoreline Design Guidelines was recently completed by Coastal Geologic Services for the Washington Department of Fish and Wildlife, with assistence from QWG Applied Geology. The document covers techniques for assessing and managing erosion in the context of Puget Sound. Guidance is provided for soft shore and hard shore protection techniques, including resloping and revegetating banks. CGS provided trainings on these design techniques for WDFW staff and others in 2014. The full report can be viewed here.